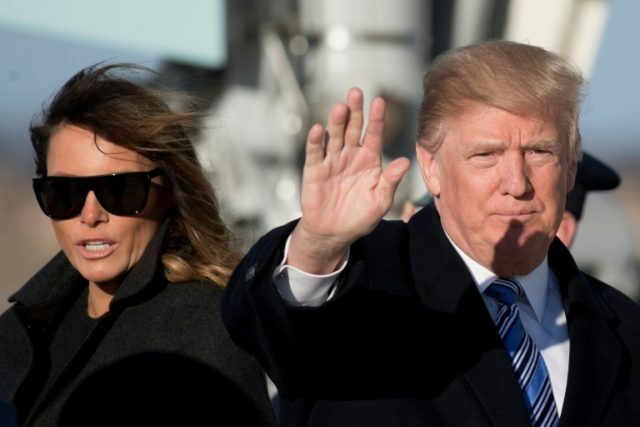 Washington (AFP) – US President Donald Trump insisted his White House was not in chaos Tuesday, despite a wave of resignations and FBI investigators circling his top aides. Trump decried reports of “CHAOS in the White House” as a “Fake News narrative” in an early morning tweet, which was designed to reassure supporters that his administration has not careened off the rails. “Wrong! People will always come & go,” he said after his closest aide Hope Hicks and his staff secretary Rob Porter stepped down amid interwoven scandals. Trump’s first year in office has been a frenzy of departures and infighting, which insiders put down to clashing interests, inexperience and the president’s unique management style. “I want strong dialogue before making a final decision,” Trump said, defending his method of promoting staff argument. But the former real estate developer also hinted that things were not perfect. “I still have some people that I want to change (always seeking perfection). There is no Chaos, only great Energy!” he said.